Your weekly round-up of local news for 19 – 25 November. A man in his 40s was ‘repeatedly stabbed‘ by ‘a gang of youths’ in Wood Farm Road just before midnight on Thursday evening. Four young people in their teens were arrested. In what is thought to be a related incident a police cordon was put in place for a time on Windmill Road. 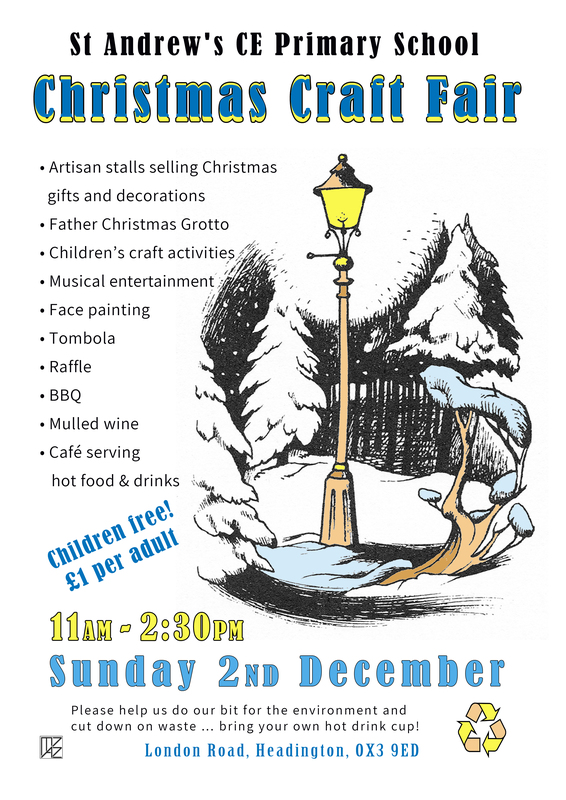 St Andrew’s Primary School Association @sasastandrews1 is holding a Christmas Craft Fair on Sunday 2 December from 11am to 2.30pm. Oxford City played well and made some chances but lost their FA cup home replay against Tranmere Rovers 0 -2 on Tuesday evening. The man who became infamous as the “Headington door knocker”, scamming residents with a hard luck story and asking for money, was given a 32 week jail sentence suspended for 18 months by Oxford magistrates. @TheAmpleforth in Risinghurst celebrated its first year since re-opening as a community pub. A group of residents has put forward a proposal for restricting through traffic in Headington Quarry. The group, known as Filter the Quarry, wants to make the narrow streets safer and cleaner. Their website sets out the proposed scheme and the thinking behind it. @HeadingtonPlan reports that resurfacing work at the junction of Windmill Road and Old Road will be carried out overnight starting today (Monday 26th November) for about 1 week. Access to and from Old Road will be restricted; diversion routes include Girdlestone Road and Gipsy Lane. 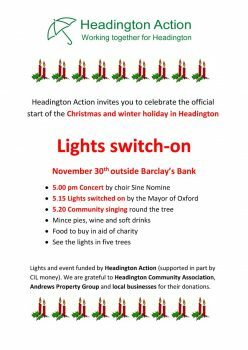 Headington’s Christmas lights will be switched on at 5pm on Friday 30 November outside Barclays Bank. 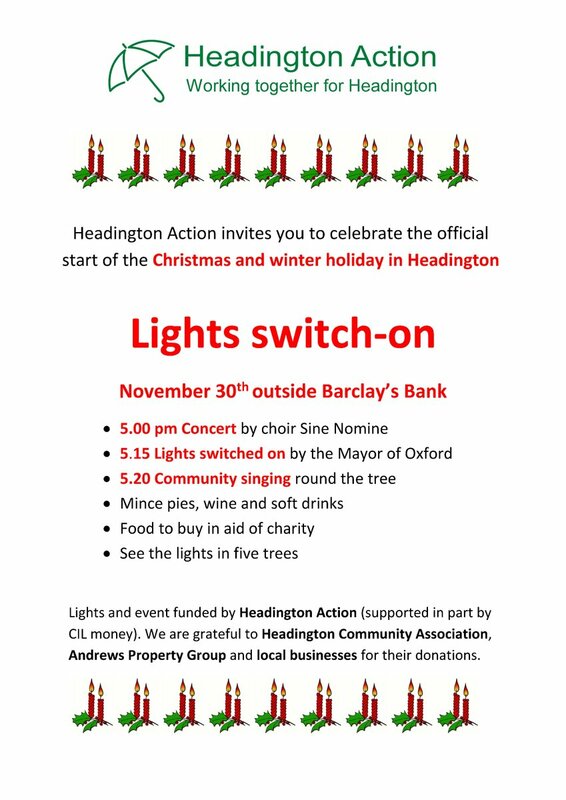 There will be lights on five trees, a choir, mince pies, wine and the Lord Mayor – what could be finer? Once again there were no active posts on the Headington & Marston e-democracy forum this week.